ADCO’s staff of dedicated maritime professionals has over 100 years of collective experience and knowledge of the marine and research sectors. 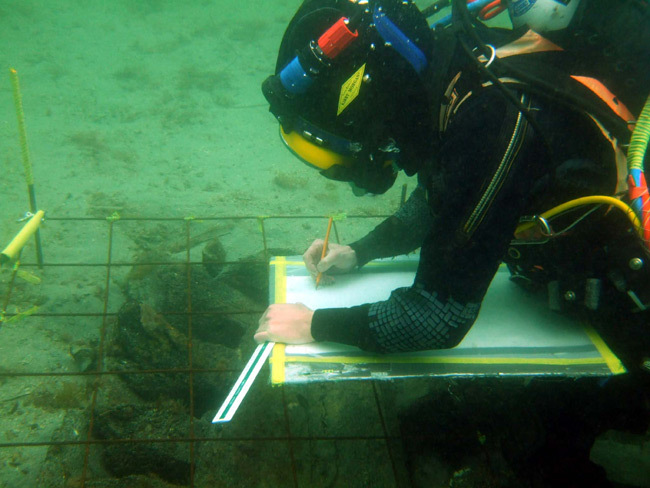 Our staff include archaeologists (marine, terrestrial and underwater), commercial divers, diving engineers, environmental specialists and specialist surveyors. 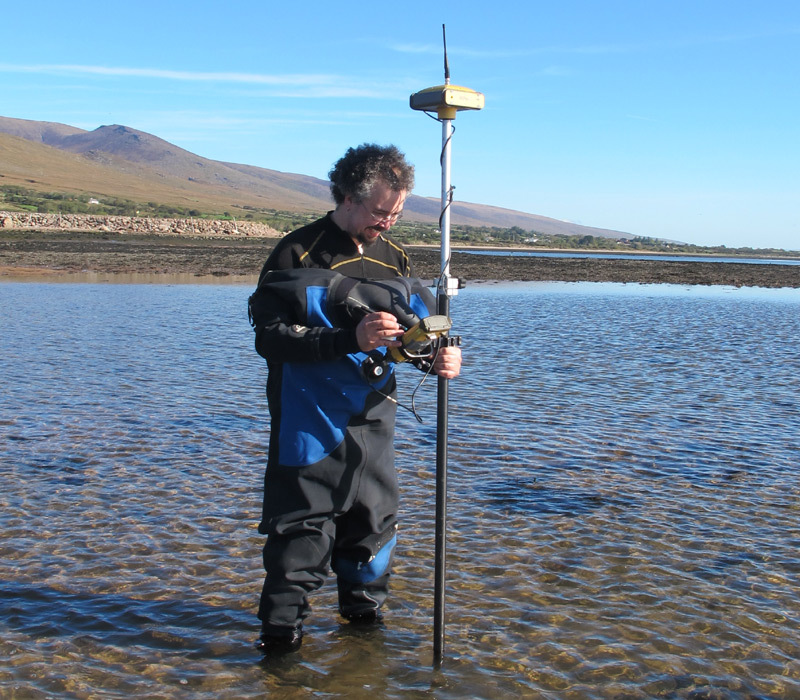 We also work closely with select marine ecologists, geophysicists and MMOs. These roles are supported in-house by a financial manager, GIS specialists, CAD technicians/ draughtsmen and experienced researchers. Dive personnel are certified to minimum HSE Part III or equivalent, hold power-boat handling certification, are trained in Offshore Personal Survival Techniques, hold in-date Diver Medicals, BOSIET certification, and have undertaken IMCA-recognised Diver Medic training. All personnel are First-Aid trained and hold in-date Safe Pass and Manual Handling certification. Dr Niall Brady, FSA is founding co-director of ADCO and is the company secretary. With more than two decades of experience in maritime related research and resolution, he is primarily responsible for project management and company growth initiatives. Dr Brady is a medievalist by training. He is a graduate of UCD (MA 1986) and Cornell University (PhD 1996) and has been HSE Part III diver since 2000. Niall was project director for the Discovery Programme, Ireland’s institute for advanced archaeological research, where he designed and implemented the Medieval Rural Settlement Project (2002-10). Niall has extensive project management experience in the consultancy sector, and has carried out a large number of excavations, monitoring projects, and Environmental Impact Assessments on land and underwater. He has represented several high profile infrastructural projects at Oral Hearing planning enquiries, including the Corrib Onshore Pipeline project 2010; the Port of Cork Ringaskiddy Redevelopment project 2015, and Dublin Port Company’s Alexandra Basin Redevelopment project 2015. 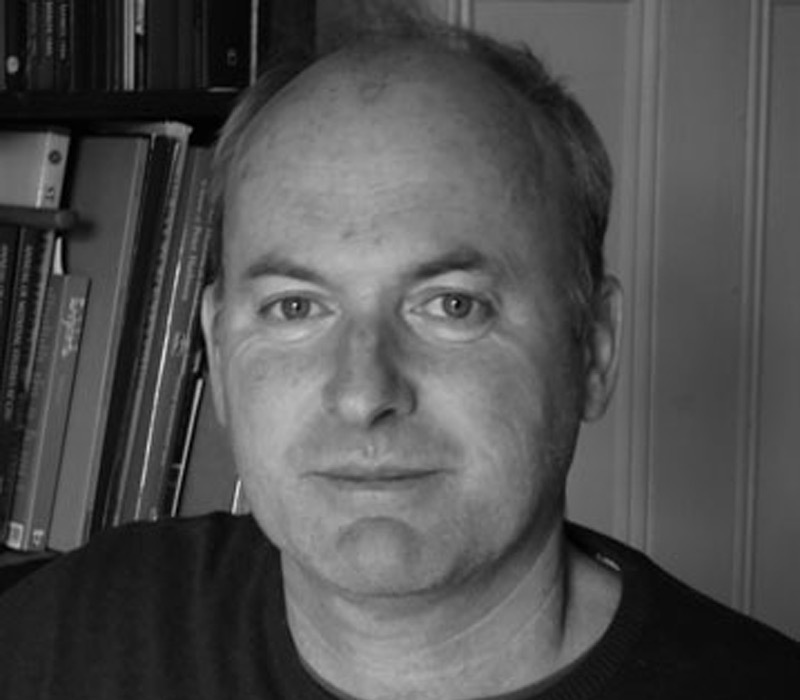 Niall sits on several international committees, including COST’s Oceans Past Platform; the Society for Medieval Archaeology (Newsletter Editor); the Royal Society of Antiquaries of Ireland (Honorary Editor) and Ruralia. Rex Bangerter MA is co-director of ADCO Ltd. He is a graduate of UCL (BA 1998) and the University of Southampton (MA 2000) and is certified to HSE Part II (Closed Bell/ Saturation diving). He has over 16 years diving and marine experience within the inshore and offshore sectors. Rex directs on-site operations and manages project personnel. He is responsible for the resolution of a wide range of underwater projects and is specialist in the detailed inspection, survey, and excavation of submerged structures. Rex has particular expertise in shipwreck sites (marine context) and bridge structures (riverine context), and is a specialist in the recently developed underwater repair of sub-sea cables. Rex has worked on projects throughout Ireland, Spain and the UK. He has over 1500 dives logged (HSE), with 5000+ hours of practical underwater experience. Rex has been with the company since 2001. Brian McAllister is Marine Co-ordinator, Diving Supervisor and Systems Technician for all marine activities undertaken by the company. With more than 30 years of active work in the offshore and inshore Oil and Gas Industry, Brian ensures a safe and pragmatic working environment for all our operations, mitigating for the often dynamic and challenging conditions present. 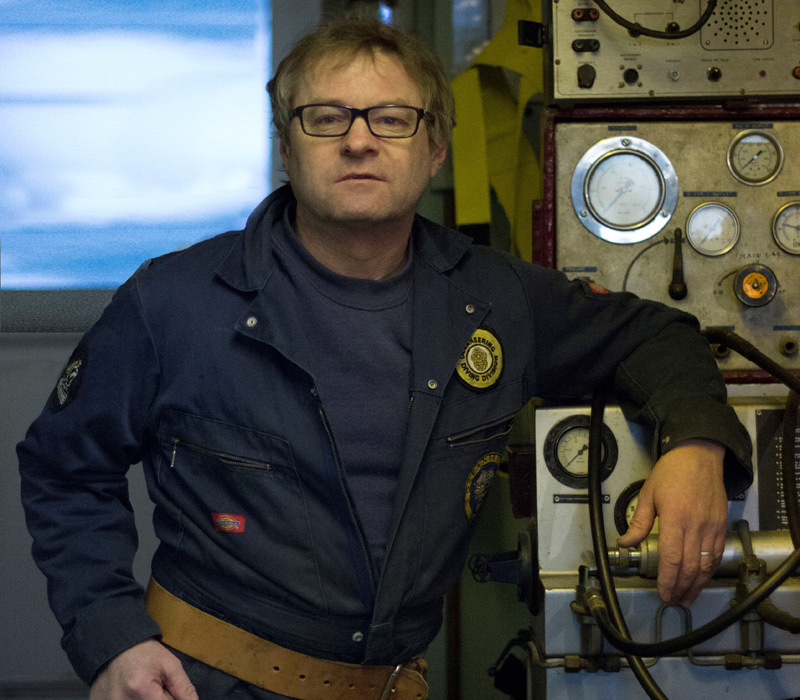 He earned his Able Seaman’s ticket at Greencastle in 1975 and he is certified to HSE Part II (Closed Bell/ Saturation diving). His experience has taken him across the world with many of the major oil companies, working up to depths of 2700ft. This work included the installation of subsea wellheads, major pipeline connections, the maintenance, inspection, and repair of oil-rig platforms and other related offshore installations/vessels. In addition, he has undergone specialist training in the recently developed underwater repair of sub-sea cables. Brian has been with the company since 1999. 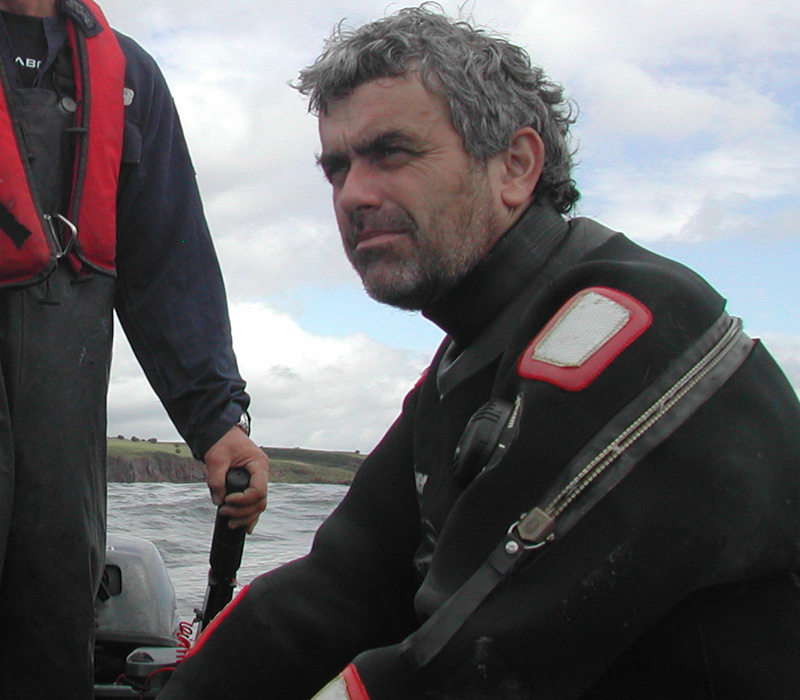 Feargal Morrissey is a senior diver and reserve Diving Supervisor with ADCO. He is certified to HSE Part II (Closed Bell/ Saturation diving) and is an experienced inspection diver, qualified to CSWIP 3.1u and 3.2u levels of the Technical Welding Institute. He holds a Bachelors (Hons) Degree in Engineering and has over 10 years diving and marine experience, both in the inshore and offshore sectors. In addition, he is a specialist in the recently developed underwater repair of sub-sea cables. He has been with the company since 2008. 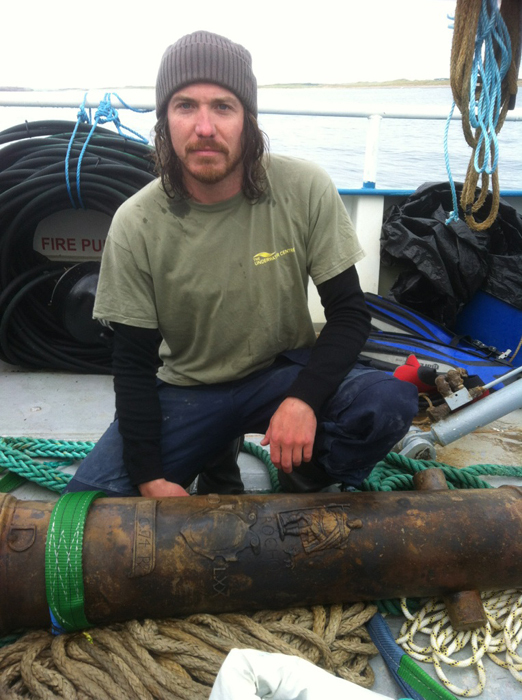 Jimmy Lenehan is an experienced diver and metal-detectorist with ADCO. He is a graduate of UCD (BSc. 1988) and is certified to HSE Part III (Surface Supplied diving). 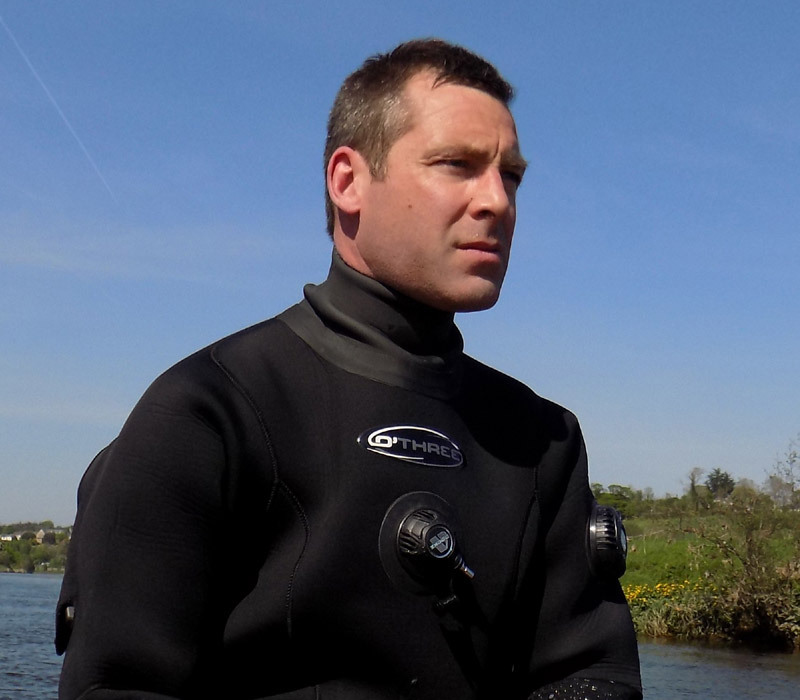 Jimmy has over 15 years commercial diving experience and 25 years as a lead diver for Kilkenny River Search and Rescue. He is also acting rescue coordinator for this organization. Jimmy is specialized in conducting underwater metal-detection surveys for the company and is a knowledgeable numismatist. In addition, he has a keen interest in architectural heritage and conservation. He has undergone specialist training in the underwater repair of subsea cables and has been with ADCO since 2001. Derek Copeland is the company’s Senior Topographic Surveyor. He holds diplomas in Geodetic Surveying and Data Processing/ Information Technology (1994-95) and is a member of the Irish Institute of Surveyors. He has over 20 years surveying experience, both as an in-field surveyor and as a senior manager for a leading surveying company. He specialises in data capture methods and relational databases for the recording of site information for later analysis. Since joining ADCO in 2007, Derek has worked closely with our dive team and has been responsible for the implementation of precision surveying procedures and digital terrain modelling techniques.